Wasps, although an annoyance to many, are useful predators that control garden pests and pollinate flowers. Now their abundance and diversity in the UK are being investigated by a team from UCL and the University of Gloucestershire. The project, sponsored by the Royal Entomological Society and in partnership with BBC One's 'Countryfile' programme, is the first of its kind in the UK and will use beer and the power of the public to find out more about these important but much maligned insects through the Big Wasp Survey. Members of the public are being asked to recycle an old plastic bottle and use a little beer to make a wasp trap for their back garden. After a week, once the wasps are trapped, you simply send them back to the team for identification and counting. Very little is known about populations and locations of wasps in the UK and it's hoped this survey will give scientists valuable information. Dr Seirian Sumner (UCL Genetics, Evolution & Environment), said: "The black and yellow wasps that bother us at picnics are the social wasps and there are a number of different species that live in the UK. We would like to find out more about where they live and how common they are; and to do that we need the publics' help." Beer trapping is a common technique used by beekeepers to lure wasps away from their hives. Unfortunately, it does result in drowning the wasps that are attracted to the beer. Professor Adam Hart (University of Gloucestershire) explained: "While we are asking people to kill some wasps, which is a bit unusual for a project aimed at conserving them, it really is the only way that we can identify the wasp species around and be sure that the information we get from the project is worthwhile. At this time of the year, wasp colonies are at the end of their life and the wasps we catch are old workers, who will die at the end of the summer anyway. This means our methods won't have any effect on the overall population." 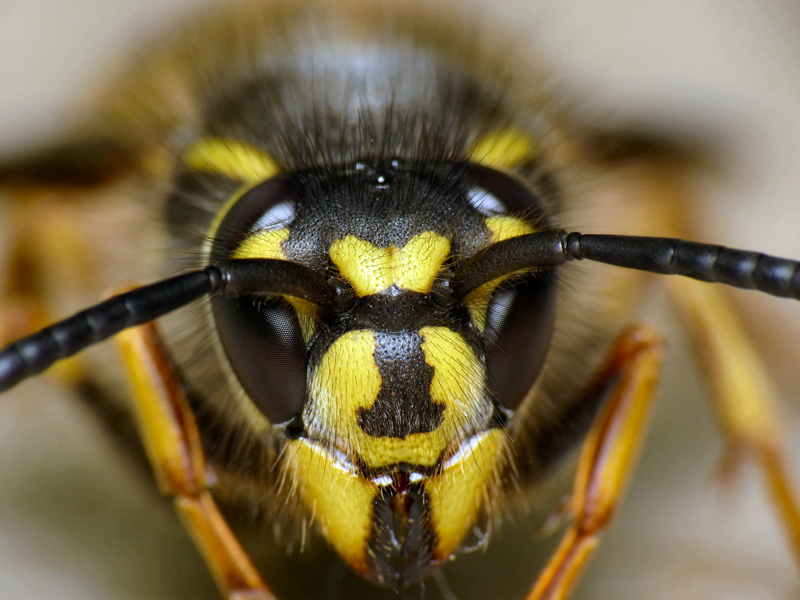 There are more than 9,000 species of wasp in the UK, but only a handful of these species are the black and yellow social wasps that we get bothered by. Wasps are close relatives of ants and bees. Wasp populations in the UK are declining at similar rates to bee populations. A single colony of social wasps can remove several kilograms of insect pests (aphids, caterpillars) over a summer. Unlike bees, wasps pollinate a wide range of plants - they are generalists.